Arson looks to be the cause of a large structure fire that occurred Monday night on Vine Street. The blaze kept the Blytheville Fire Department on the scene until just after 11 p.m., according to BFD Chief Mike Carney. Mr. Bill G. Templeton, 80, of Jonesboro, passed away Sunday morning, May 4, 2014, at his home. Mrs. Kattie Mae Sommer, 80, of Osceola, died Thursday, May 1, 2014, at Great River Medical Center in Blytheville. Ms. Carolyn Renee' Montgomery, 59, Osceola, died Wednesday, April 30, 2014, at Methodist University in Memphis. Lynna Jean Baughman Curtright, 69, of Wilson, passed from this life Saturday, May 3, 2014, at St Bernard's Medical Center in Jonesboro. So, kids are weird, right? I mean all kids do weird things, don't they? I'm only asking because Caroline has started doing something really weird and I wanted to make sure she doesn't need a CAT scan. Remember that old school yard song, the one where you were going to eat worms because everybody hates you? The fact of the matter is, children, and I mean all children, are fascinated with earthworms. Blytheville High School seniors Jabari Byrd and Chandler Williams are the first students in what administrators said will become a long-standing tradition of having students create murals for the BHS cafeteria. Deputies with the Mississippi County Sheriff's Department arrested a Blytheville man Monday morning in connection with a high-speed chase, possible copper theft and injuries to two officers. 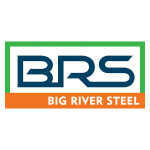 Big River Steel is one step closer to breaking ground in South Mississippi County. Early voting for the May 20 primary election began Monday in Blytheville and the rest of Arkansas. According to the Secretary of State's office, more than 6,000 voters cast their ballots on the first day of early voting.